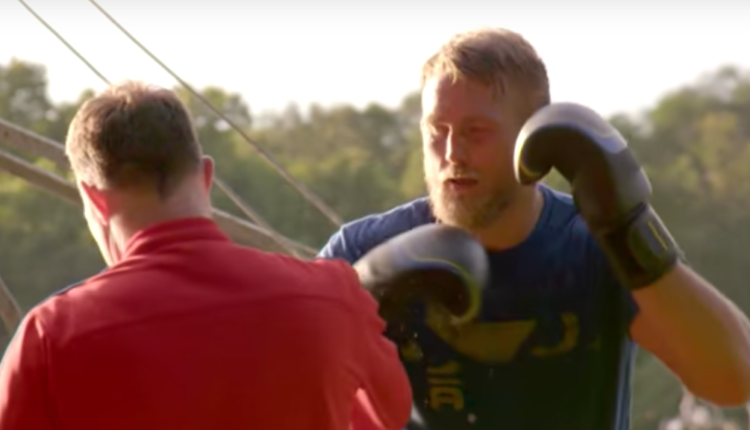 On Sunday, Alexander Gustafsson would pull out of UFC 227 due to a “minor injury.” This act comes after not only his original opponent Volkan Oezdemir would suffer a broken nose, but also Anthony Smith’s devastating knockout of Mauricio Rua at Sunday’s UFC Hamburg event. Following Gustafsson’s pull-out, UFC heavyweight and light heavyweight champion Daniel Cormier would take to Twitter to blast one of his most vocal opponents. “I will always be grateful for October 2015 (when we fought at UFC 192), but you and I won’t share the Octagon again,” Cormier wrote. Cormier’s full posts can be read below. Following Cormier’s statement, Gustafsson’s management released the following statement. Doctors pulled Alex from the card last Friday. Days before Anthony was to compete. Before that we were trying to stay on the card. Assuming we could get cleared, we were prepared to face anyone. We assumed it would be Rountree as he was ready fight, and we were told Jan would fight at another time. We also offered to fight DC at heavyweight if he was healthy. So Alex was prepared to face anyone, ranked or unranked. But the doctor’s said he was unfit to compete. It was determined last Friday he would not be on the card. Days before the Smith contest.